Really good wine can be made from Maryland grapes, that much is clear from visiting Old Westminster Winery. And when the Baker family does it, it can also be really special. 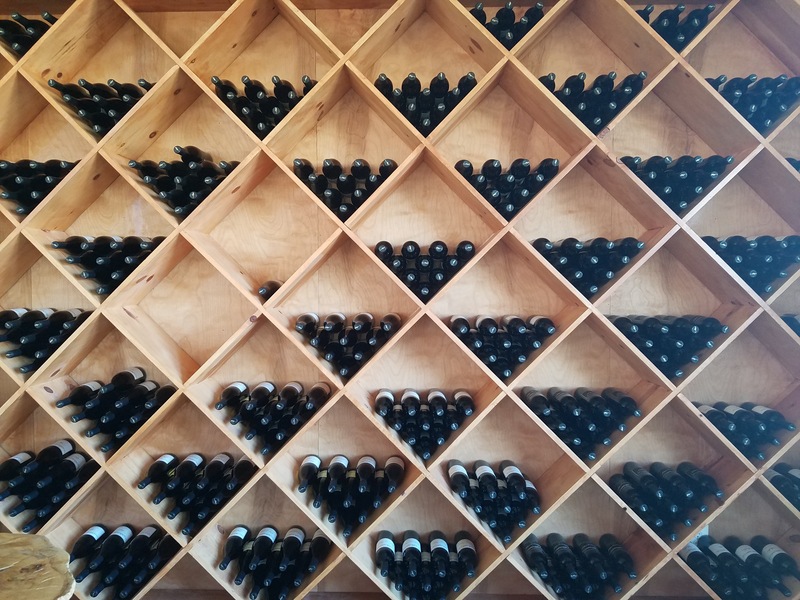 Boutique wineries like Old Westminster often strive for a signature or house style that can attract a loyal following to ensure financial stability and a place in wine’s royalty. What seems in vogue these days is a focus on creating wines that are “expressions” of their vineyards or climates and thus the signature is something a little less specific to the winemaker than it is to the grapes and their sources. Old Westminster does this, sort of, but after you try the wine you get the feeling there’s a loftier goal. Maryland terrior isn’t particularly acclaimed, and while the Bakers passionately aim to change its reputation for the better through smart varietal choises and meticulous vineyard site selection and management, they also aim to make the best wine they can with those grapes using a wide variety of vineyard management and winemaking techniques carefully chosen to coax the best wine from the grapes. The end results are wines that, if tasted blind, would likely be assumed to be from elsewhere while standing out for their quality and unique profiles. If another dozen or two wineries join Old Westminster and the other vanguard Maryland winery Black Ankle then perhaps Maryland’s terrior would gain enough attention to be recognizable. Given the newness of serious Maryland wine and the climatic challenges of the mid-Atlantic, the Baker’s wines are, at least to me, especially impressive because of where they are raised. Drew Baker, one of the three siblings behind Old Westminster, met me on a Tuesday afternoon at their beautiful one-year old tasting room and over a low key tasting of eight wines introduced me to the Baker family’s approach to producing top shelf wine, which begins with smart site selection. The Baker’s estate vineyard sits on the mid-Maryland ridge on the Piedmont Plateau at an elevation of about 800 feet while its others sources are along the ­­­­­­­western foothills of South Mountain and range in elevation between 750 and 1000 feet. The family is expanding their own vineyards into other areas as they invest significantly in finding the best sites. The family recently purchased the 117-acre Burnt Hill Farm on Piedmont Plateau after a long search in partnership with a renowned geologist. Drew is utterly jazzed about this new project. The Bakers are also taking advantage of the land around the winery, where they harvest some of the fruit used in the wine they’re currently selling, to experiment with new varietals. For example, in the vineyard across from the tasting room is a small planting of chardonel, a late ripening hybrid of the vitis vinifera chardonnay and the hybrid seyval blanc created in New York that can develop decent brix along with good acidity while still weathering colder climates. Though Old Westminster hasn’t committed to selling any wine made from the grape, Drew is excited to experiment with it next year when he’s able to harvest it for the first time. The Baker family’s influences are significant. Between the siblings the family worked multiple vintages in Argentina (Ashli at a Micheal Rouland winery), New Zealand (Drew with Morton Estate) and California (Lisa with Patz & Hall and Bredrock Wine Company) in preparation for starting their own winery. The experience has paid off not only for what they learned about making good wine, but for what they learned about the kind of wines they wanted to make as well. Their wines aren’t an effort to replicate those of any of the wineries where they worked. In the winery the Bakers are quite specific as well. Drew talked at length about taking only whole berries to tank and their meticulous efforts to ensure broken skins get removed. They use gravity to move must and ferment with native yeasts, and often times blend different press cuts to assemble wines that bear the characteristics the family is looking for in each wine. If you’re reading between the lines, you’re realizing that they spend a lot of time making their wine as these are not insignificant efforts. The result is truly a Old Westminster house style: it has a set of particularities that combine the vineyards’ terrior and the Old Westminster processes to produce something unique. The whites showed consistently highly levels of acid that melded with ripe, round fruits and skin tannins to produce medium bodied beauties. With the reds I found myself noting meatiness and dark cherries across the range, each with nice concentration and enough acid to make the wines shine with food. Perhaps Old Westminster’s most impressive wines are their pétillant-naturel sparklers. It’s hard to be more wine geek than that these days. Every wine shows precision and cleanliness without losing personality. My tasting notes and scores are below. The pet-nats, cabernet franc and malbec were standouts. Old Westminster makes a large variety of wines, and if the pet-nat made from albarino is any indication then the still version, which I wasn’t able to try, is likely a shining example of why it may be a leading contender for Maryland’s best white varietal. I highly recommend a visit to Old Westminster and the customizable wine club, which I’ve joined since the visit. Their wines can be purchased at the winery and through their website.